New subsidiary opened in Toronto: The market leader for self bag drop solutions Materna GmbH expands its aviation business after winning a new project in North America. Materna delivers a new self-service bag drop installation for Toronto Pearson International Airport. Toronto Pearson is Canada’s biggest and busiest airport, welcoming 41 million passengers in 2015. With the Materna solution, the airport will significantly improve its passenger handling. The installation allows passengers from several airlines to check in their luggage autonomously. For expanding in the North American market and a better support on-site, the aviation specialist Materna opened a new subsidiary in Toronto on October 1st. As the Toronto Pearson International Airport continues to grow, the Greater Toronto Airports Authority is looking for ways to use technology and innovation in order to make the passenger journey more efficient and enjoyable. The airport has undergone recent facility improvements as part of a larger project to update the way passengers check in with their airlines, access security screening and, for passengers traveling to the United States, Customs and Border Protection. 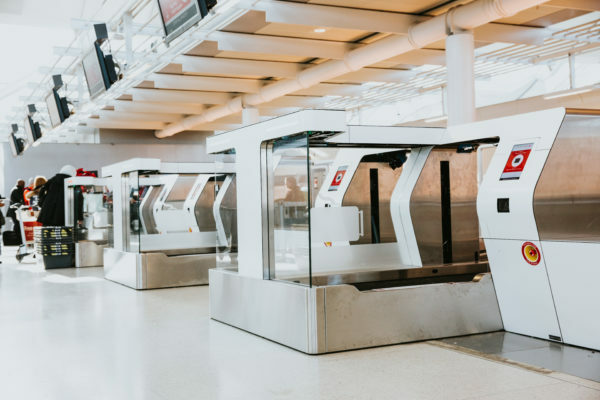 The self-service bag drop solution is part of Toronto Pearson’s improvements and allows airlines to automate the bag drop process for already checked-in passengers. Passengers have different choices as part of their check-in experience. They may print or download their travel documents at home or use their mobile device and move straight to the baggage drop-off on arriving at the airport, rather than standing in line. The interaction with the bag drop process is fast and user-friendly allowing passengers to move from home to the boarding gate with only a short stop where technology seamlessly provides this vital service. With the new subsidiary in Canada, Materna goes one step further in its internationalization strategy. One year ago, the aviation specialist already opened a subsidiary in Orlando, Florida, following a similar contract at John Wayne Airport in California. Effective January 1st 2016, Materna acquired the Norwegian company DSG Bagdrop AS, a renowned specialist for self-service bag drop solutions in the airlines and airports segment. Materna is one of the leading IT consulting companies in the information and communications technology sector, employing around 1.700 staff members throughout Europe and achieving revenues of EUR 210 million in 2015. Materna is a full service provider, delivering a complete range of services for the premium segment: from consultation and implementation through to operation and cloud services for large enterprises and the public sector. Under the brand Materna IPS (Integrated Passenger Services) and as one of the worldwide most famous suppliers for airports and airlines, Materna offers solutions for automated passenger handling at airports, for airlines and ground handling agencies.